This Summer Adventure will be a day packed with adventure! Because we have a lot to see, we are going to be getting an early start! UPDATE 7/5/2011: The forecast says scattered showers off and on throughout the day, so we will still be holding this event. Make sure to bring your umbrellas just in case! At 10am: We will meet at the McDonalds parking lot in Tooele 970 N. Main Street, where we can all carpool or caravan to our destinations. 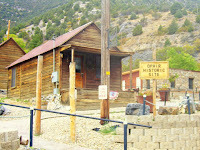 Approximately 11am: Ophir Ghost Town will be next on our list, and we will plan to spend at least 2 hours there, and have lunch there. Approximately 2pm: After lunch we will drive further south to see the Mercur Cemetery. Wear comfortable walking shoes. Although the walking will be appropriate for all ages and abilities, you will not want to be wearing sandals or uncomfortable shoes. We want to make sure we don't leave anybody. If you get lost trying to find a place, my # is (801) 661-2027. 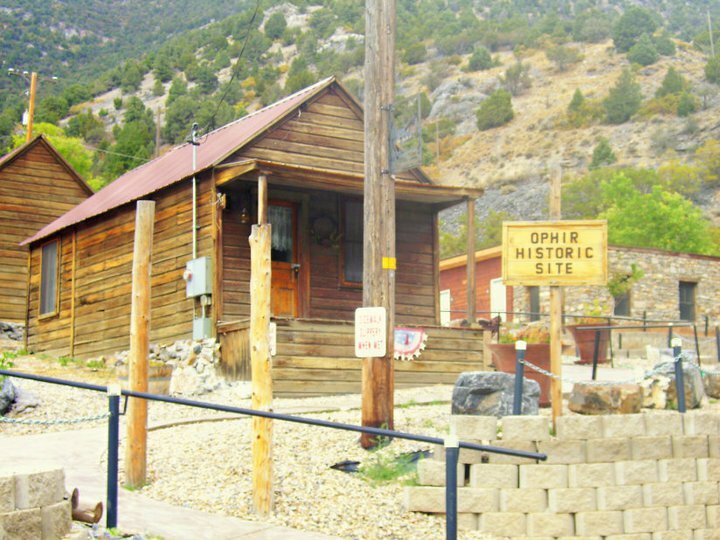 Read up on the Stockton Jail, Ophir Ghost Town, and Mercur Cemetery to give you an idea of what we will be seeing that day. Bring a sack lunch prepared for each person in your group so that we can eat in Ophir. Enjoy Utah will not be providing lunch for everybody, and you will all be responsible for your own food. Please bring plenty of water or drinks for each person in your party. Make sure your vehicle has at least 1/2 to 3/4 tank of gas when we leave Tooele. Because we will be travelling south of Tooele, there are not many gas stations after leaving Tooele. We are only going about 20-30 minutes South of Tooele, so not too far, but a yucky place to run out of gas! DISCLAIMER: Everybody is responsible for their own safety, and the safety of those kids and anybody else they bring with them. Enjoy Utah will not be responsible for any vehicle accidents or any other kind of accidents while on a Summer Adventure. You are also in charge of watching your own children. You can RSVP on Facebook and forward the invitation on to anybody you think might want to come. Everybody is welcome, and this is a free adventure! Visit our Summer Adventure Series page for more fun adventures to come this summer!